KVEC radio talk show host Dave Congalton batted down an online story published over the weekend suggesting he was about to be fired by El Dorado Broadcasters. Blogger Aaron Ochs made the allegations about Congalton’s pending dismissal on a Facebook page where he regularly makes unfounded allegations claiming his information is from friends or affiliates of his targets. Congalton laughed off the accusation. 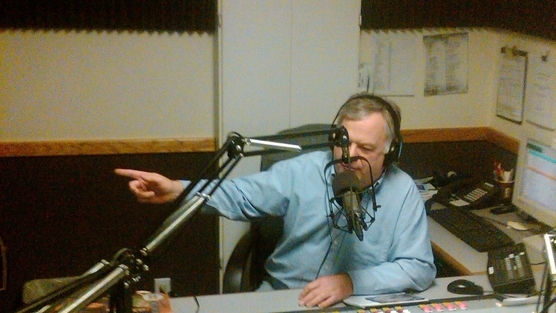 The veteran talk show host, who recently celebrated his 24th anniversary on-air, said there seems to be a concerted effort to brand his show as “toxic.” San Luis Obispo mayor Jan Marx used the phrase in a conversation with a KVEC manager last December. Congalton did confirm a published report that El Dorado Broadcasters recently sold its Santa Maria stations “Sunny County 102.5” and News/Talk 1240 KSMX to rival American General Media for an undisclosed price, but declined specific comment. However, Congalton did not want KVEC listeners to worry about his upcoming absences from the show. He will be away on vacation during the coming weeks, first as a faculty member at a screenwriting retreat in Spain, and then as a writer-in-residence at a college in the Midwest. If they wanted to get rid of toxic brands, there are plenty of bigger,more toxic fish in the El Dorado pond. 30 second radio ad/ robocall ad for Fire Adam Hill. No copyright restrictions on unadulterated version. Fire Adam Hill 2016. Team Adam Hill has given us yet another great idea by using robocalls to attack SLO residents. Here is a video that can be converted into an MP3 file and used by anyone as a robot call or radio ad. Just go to http://www.youtube-mp3.org and insert YouTube URL. No copyright restrictions on unadulterated version. Fire Adam Hill. Aaron Ochs will have to go to New Jersey with Adam Hill and Dee Torres-Hill. This county has had enough of these sewer rats. To Jersey with all of them!